INSPIRATIONAL TOURS was founded on a dream in 1972 with the specific purpose of specializing in Christian tours to the Holy Land. Now, with 44 years of experience, INSPIRATIONAL TOURS, has built a network of contacts across Israel, Jordan, as well as Europe, ready to deliver top quality pilgrimages with custom made programs to suit your needs. Having been born a Christian-Palestinain and raised in the town of Bethlehem in the Holy Land, my familiarity with the country is first-hand. After graduation from high school in the Holy Land, I put my knowledge of my home to use, and worked as a tour guide in the Holy Land for 3 years. Through this experience, I came to understand the land as the Fifth Gospel. After graduation from Oklahoma City University in 1972, I moved to Houston, Texas, and founded INSPIRATIONAL TOURS, INC. a tour operator specializing in Christian group tours to the Holy Land, and the surrounding regions, as well as in Europe. I presently reside in Houston, Texas with my wife of 42 years, and our 5 beautiful children. Many priests and deacons have conducted tours with us and returned very satisfied with our services. Their personal recommendations to their friends and colleagues have made us one of the nation’s leading Catholic tour operators. My brother, Gabriel Khano, and his family still reside in Jerusalem and operate GUIDING STAR, who will provide personal attention to you once you reach the Holy Land. My tours are flexible; you may choose your date of departure and I will customize the tour itinerary to fit your group. Our staff of Christian guides can share your faith, and make each Holy Land pilgrimage a special spiritual experience. Over the years, we have been blessed with the opportunity to service many thousands of pilgrims, and have developed our success through the many personal recommendations from the priests and pastors who have conducted tours with us. We pride ourselves in being able to call INSPIRATIONAL TOURS one of the nation’s leading Pilgrimage tour operators in and outside the United States. Along with our experienced staff, I can assure you of quality service and pilgrimage memories you will treasure for many years to come, as I am very committed to helping Christian Pilgrims experience a renewal of faith that comes with a tour of the Land of the Bible. I look forward to hearing from you, and wish you a blessed day. 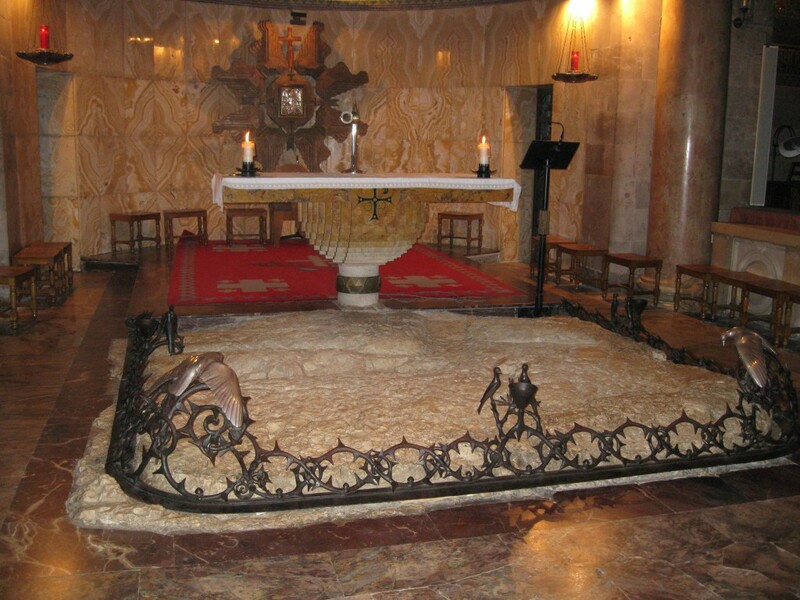 Inspirational Tours, Inc. has been in business for almost 41 years specializing in pilgrimage tours to the Holy Land and Europe. We offer customized and flexible itineraries from beginning to end including air travel, tour bus arrangements, hotel accommodations, and tour guides to ensure an unforgettable trip. Through our experience, we’ve gained the expertise and knowledge to carry out almost any tour you request. With offices in Houston, TX, Amman, Jordan, and Jerusalem, Israel, we have the ability to ensure you and your group a trip of a life full of blessed memories and an unforgettable experience. Inspirational Tours in well-known for its integrity, financial stability and excellent reputation. Please do not hesitate to contact us for any further information.